Hey, young bloods! 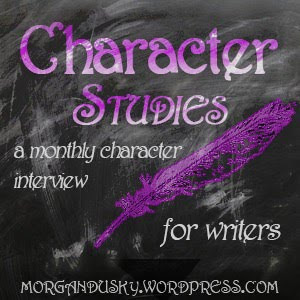 Today I'll be participating in Character Studies, a monthly link-up interview for your WIP characters. 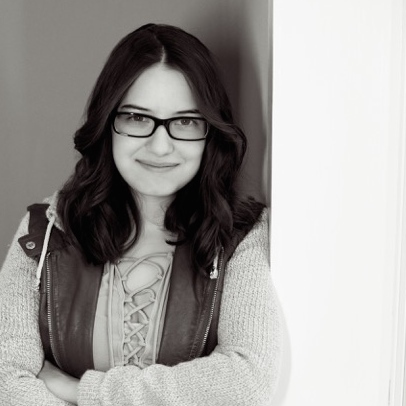 This time around, my featured character is Octavia Ashwood, the main character from my contemporary witches WIP The Sisters of Sinister Row. Octavia was born in the Edwardian era, and, although she is technically 115 years old, has only aged to be about 18-20 thus far, as witches age quite slowly compared to normal humans. Without further ado, I hope you enjoy! 1. You need some time with friends, being social. What do you do? Laurel and I will usually go to the mall and play air hockey at the arcade. Or sometimes I'll drag her to a movie, or she'll drag me to a fashion boutique. 2. You want some time alone. Just you and yourself. What do you do? Go outside - to a peaceful park, a space so rare to find in today's world - and read quietly to myself. I like texts on science or the history of witchery. 3. You're feeling creative. What do you do? Well, sometimes I'll pour some new ceremonial candles (and even make them scented, despite how Emmeline - our coven leader - hates scented candles). Other times I'll carve patterns on my ceremonial knives or write in my journal (which I'm horrible at keeping up with....oops). 4. What do you do when you don't want to do anything useful or productive? Your favorite "useless" waste of time? Looking up pretty gowns/knives/candles/etc. on Pinterest, lmao. 5. What do you do when it rains? 6. What's your favorite outdoor activity? I've always been partial to water skiing. Then again, straight-up snow skiing is good as well. 7. Do you like to read? 9. You're going to a museum/exhibit of some kind. What is at the museum and who do you go with? Do you enjoy yourself? It's probably either a biology or archaeology exhibit, and I'd definitely take Edwin. (I can attach him to an object that I can then carry with me anywhere I please.) Laurel just wouldn't be intellectual enough to properly enjoy it. 10. BONUS: What's your favorite kind of cookie?